Indian AgriTech had an exciting 2017, seeing its largest investment sizes and entrepreneurial activity to date. The sector has been on the rise with approximately 300 live startups (up from 50 in 2012) and three deals (Skymet, EM3 and Agrostar) that each attracted $10 Mn or more in funding. Global trends have reflected this increase too—US investment in AgriTech doubled to $700 Bn last year. Biotech companies that research plant and livestock animal sciences and produce solutions for the agricultural value chain. 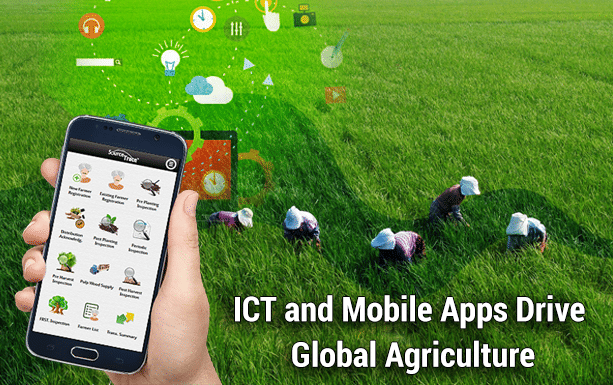 Agribusiness companies that use modern technology to produce improved farm inputs. Finally, Market Linkages companies that provide digital platforms to connect farmers to financing, produce markets, farm inputs, and rental equipment. At Unitus Ventures (formerly Unitus Seed Fund), we see great promise in Market Linkages – one of the smaller subsectors in AgriTech. Investors who look beyond the numbers will see that these companies are uniquely positioned for impact. Unlike every other subsector, which is led by the United States, the majority of Market Linkages startups are based in India. This geographic clustering is indicative of two things: the dire need for improvements to the agricultural supply chain in India and the opportunities for technology as readily available as ecommerce to disrupt the industry. One significant improvement would be to link farmers to markets that will pay a fair price for their produce. While farmers currently deal through middlemen and informal relationships that are often exploitative, online retailers have addressed market inefficiencies through B2B and B2C models. For example, Farm Taaza, a platform that allows businesses to buy produce directly from farmers online, raised $8M in Series A funding in October 2017. Their model brings data management, planning and forecasting, sourcing, and product tracking for the agricultural supply chain into the digital age, providing retailers with superior customer service and farmers with better prices. Crofarm, a Delhi-based startup that has raised $2.3 Mn in Seed funding, and Agrowave, which has drawn angel funding, employ a similar B2B model. Other startups, such as Pocketfarms, Nirvana box, and Farmlark have taken the B2C approach of sourcing produce from farmers and selling directly to health-conscious urbanites. While these operations are a dime a dozen, there are a few factors that would distinguish a startup to an investor. One of them is the technological innovation behind their supply chain management systems. Any attractive online produce businesses would be able to deliver quality products in a faster and more efficient way than their competitors. Additionally, a successful business would have a powerful marketing plan to draw in customers. For example, Farmizen, an organic produce business that allows customers to rent and manage farm plots from an app, functions as a real-life Farmville. The novelty factor has made Farmizen stand out from its competitors and attract angel investor funding. Another prospect for disrupting agriculture lies in connecting farmers with retailers that will provide them with quality, reliable inputs. Currently, farmers buy seeds by travelling long distances to brick-and-mortar stores, where prices are high and the choice is limited. Players such as Agrostar, which has raised over $15 Mn and recently closed a $10 Mn Series B round, are solving this issue by employing an eCommerce platform for farm inputs. Agrostar’s tagline— “direct to farmers”—describes the company’s model that allows farmers to place an order through a missed call or through a mobile app in the states of Gujarat, Maharashtra, and Rajasthan. BigHaat, another ecommerce firm specialising in farm inputs, recently received an undisclosed amount of Seed funding and is operational in the states of Karnataka, Rajasthan, Andhra Pradesh, and Telangana. With 100K farmers registered to date, Agrostar has reached only a fraction of India’s estimated 177 Mn farmers. The potential market size makes this sector particularly interesting to investors. While the market potential is huge, companies that sell farm inputs can pose some significant challenges to investors. First of all, customer acquisition is slow and difficult since any farm inputs business will have to convince farmers to adopt online shopping and change their consumer behavior. Farmers currently use purchasing inputs as an opportunity to travel to local commercial centers, learn new farming techniques, and socialise, which cannot be replicated online. Next, farm inputs businesses will face the issue of low-profit margins due to the nature of the products they sell—most of the companies mentioned above primarily sell seeds, which is a high-volume, low-margin business. They will have to figure out the right product mix that would make their venture profitable. Finally, companies will also have to create payment schemes that are attractive to farmers, who are also accustomed to receiving credit from their traditional input dealers. If a startup can crack these challenges, there is a bevy of investors waiting to enter the market. With farming as a $400 Bn dollar industry in India, the competition has just begun.